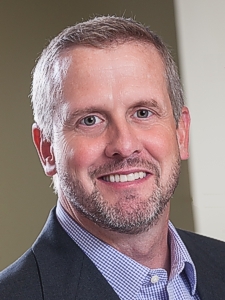 Dave Van Haaren is a partner at Triterra and serves as the Director of Economic Development with the firm. With over 25 years of professional consulting experience, Dave provides expert knowledge and assistance on various Brownfield and other Economic Development projects for Triterra’s clients throughout Michigan. His responsibilities include management of economic development projects, including state and federal incentive programs, environmental grant and loan programs, coordination and technical supervision of environmental assessments and investigations, environmental construction management, site design and reuse, due diligence, remedial investigation, design and implementation. Other responsibilities for Dave include overseeing work and mentoring staff with Phase I/II Environmental Site Assessments (ESAs), Baseline Environmental Assessments (BEAs), Vapor Mitigation System Design, and Due Care Compliance Evaluations and Implementation. Dave assists developers, businesses, and communities integrate appropriate brownfield incentives and environmental due diligence solutions into a strategic approach to real estate acquisition and brownfield redevelopment. Additionally, he has served as project manager and technical advisor for several communities with Federal and State Brownfield Grant and Loan Programs including U.S. Environmental Protection Agency (EPA) Brownfield Assessment Grants and Brownfield Cleanup Revolving Loan Fund (RLF) grant programs, Community Development Block Grant (CDBG) Blight Elimination Grants, Michigan Department of Environmental Quality (MDEQ) Brownfield Redevelopment Grant and Loan Programs. Successful projects under these programs include redevelopment of Brownfield sites ranging from small commercial gasoline filling stations and dry cleaner facilities to large dump sites and industrial sites, including contaminated waterfront sites. Specialized experience in these programs include grant writing, liability evaluation and eligibility determinations, contractor procurement, Davis-Bacon compliance documentation and reporting, programmatic work plan development, implementation of investigation and cleanup activities in compliance with specific program requirements including geophysical surveys, site assessment and remedial investigation, soil gas vapor investigations, and soil gas vapor mitigation. Over the course of his career, Dave has assisted developers, businesses, and/or local units of government obtain over $100,000,000 in brownfield/redevelopment incentives through TIF plans, tax credits, grants, and/or redevelopment loans. Dave’s experience includes the management of EPA Assessment Grant projects on over 25 Area-wide Brownfield Assessment Grant awards ranging between $200,000 and $400,000 with 17 Michigan communities and Indian tribes. His specific project experience has included over 1,500 Phase I ESAs, 1,400 Phase II ESAs/BEAs and 50 Brownfield TIF Plans and/or MDEQ Grant/Loan Projects. Dave holds Bachelor of Science degree in Industrial and Environmental Health Management & Hazardous Waste Management from Ferris State University (Big Rapids, Michigan).